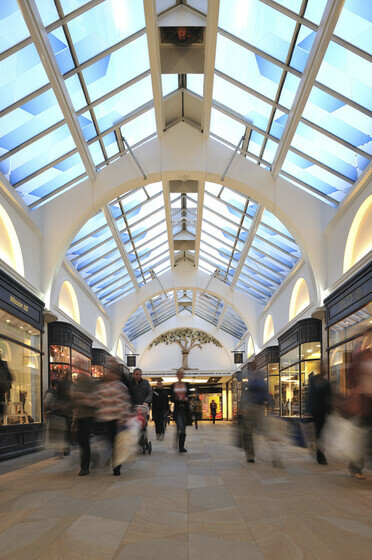 The refurbishment of Chapel Walk Centre sought to improve its attractiveness to both customers and occupiers thereby ensuring its long-term sustainable success. Our lighting design had to enhance the visual prominence of the centre and complement the architecture while minimising energy usage. 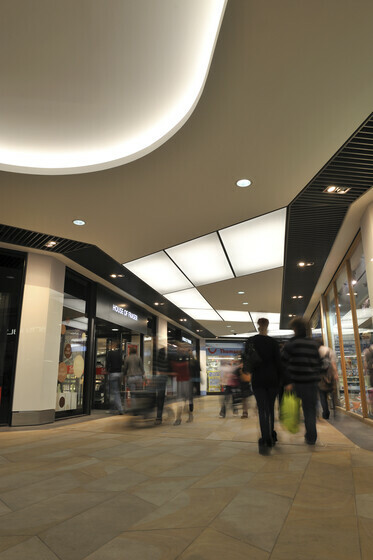 Within the covered malls, the ‘egg-crate’ style ceilings delivered light from a myriad of halogen downlights creating a ‘lifeless’ environment that client and architect were keen to eliminate. 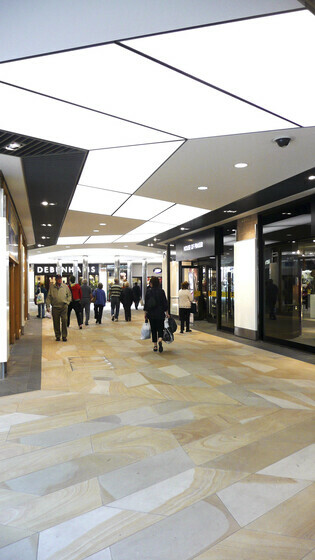 Our concept provided illuminated ceiling panels of various trapezoidal shapes that echoed the pattern in the york-stone paving. 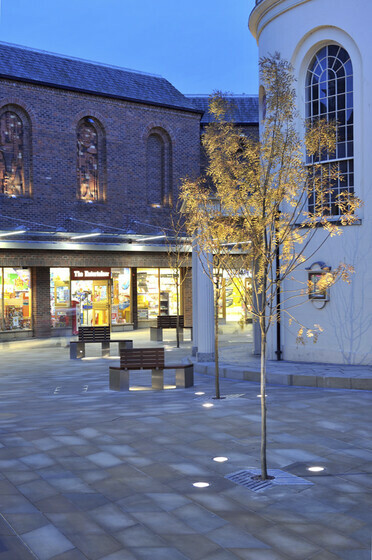 The architect wanted to free Bell Square from the visual clutter of lighting columns to provide clear views of Huntingdon Hall. 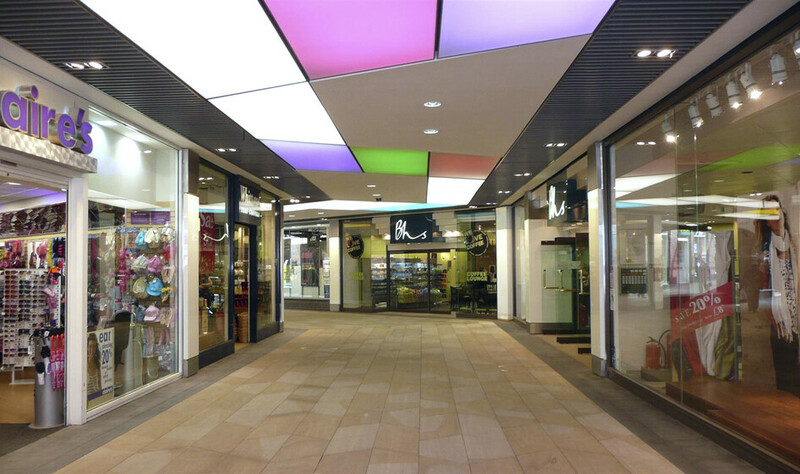 We achieved this by integrating lighting within the canopy to illuminate the main pedestrian route through the Square: this effect continued the use of light lines developed in the mall areas. 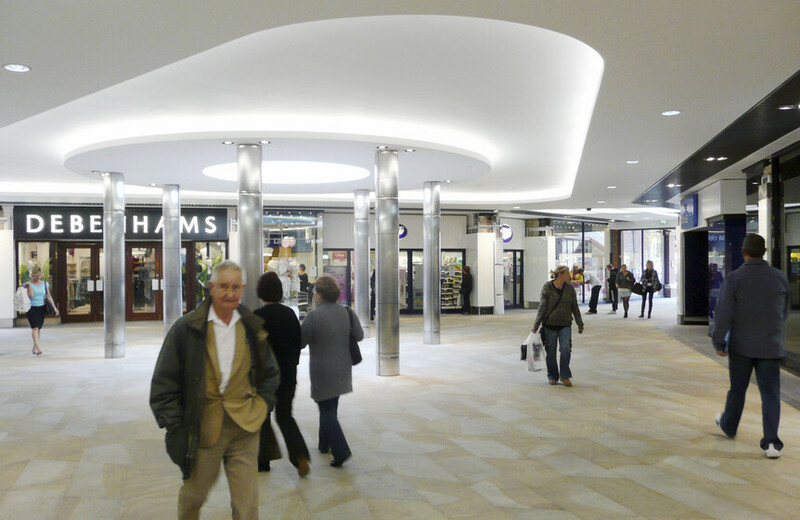 Overall the new scheme has provided a brighter and more welcoming environment and has an average efficacy of 70 lumens/watt, well in excess of building regulations. Our energy calculations suggest the new scheme will produce savings of between 20 – 30% when compared to the original lighting installation.